Fri 26th:AR/AR invite you to tune in to Resonance Extra at 6:30pm to hear ‘Live From Lubberland’ episode 1. 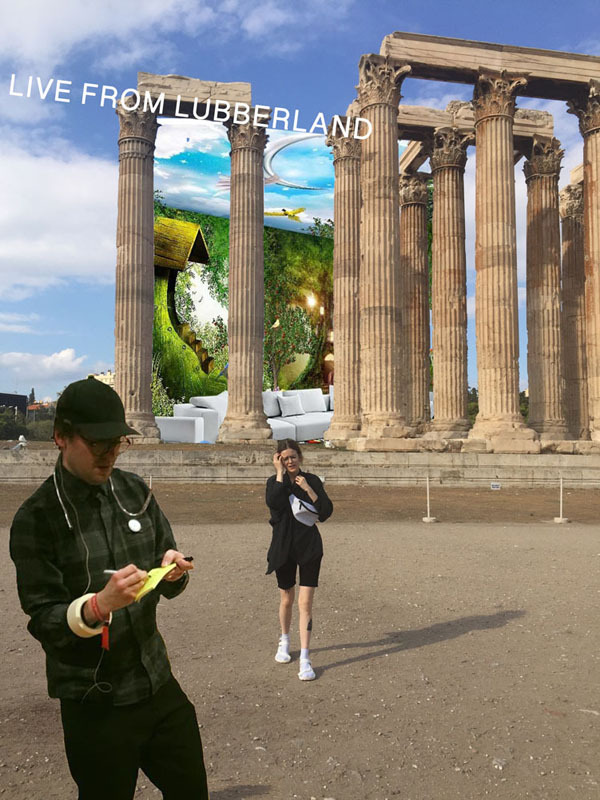 Sat 27th: AR/AR invite you to attend & participate in the recording of ‘Live From Lubberland’ episode 2 at Phoenix Brighton from 2:30 ‘til 4:30pm. AR/AR invite you to tune in to Resonance Extra at 6:30pm to hear ‘Live From Lubberland’ episode 2. Sun 28th:AR/AR invite you to attend & participate in the recording of ‘Live From Lubberland’ episode 3 at Phoenix Brighton from 2:30 ‘til 4:30pm. AR/AR invite you to tune in to Resonance Extra at 6:30pm to hear ‘Live From Lubberland’ episode 3. A radio play for and from the future in three parts. A different time running on different time, broadcasting live from the job centre, where we want you to tell us how you will be well enough. Ash Reid & Ali Robertson would like some volunteers to chat with them, play with them and perform with them on the afternoons of 26th, 27th & 28th April. Interested parties, who are happy to be broadcast on Resonance Extra, should contact: gianttank@hotmail.com for further details. Ali Robertson is an improviser and organiser who has often, but not exclusively, worked under the Giant Tank banner or in the duo Usurper to make hundreds of events and experimental recordings that exist on the periphery of music incorporating elements of composition, chance, performance, comedy, visual art and storytelling. Recently Usurper were the featured artists at Counterflows 2018.
therapy techniques and role-playing game structures, performed through ongoing communication with others, publicly and in private. She is a member of the Cinenova working group - a feminist film distributor in London, and is currently undertaking PhD research into its collection.